Work has started on a new sports pavilion. The new building at Framlingham College will complement the existing pavilion and reflect the design of the new 6th Form Centre built in 2014 on the opposite side of the main cricket pitch. The pavilion will provide a multi-use function space and additional changing rooms and spectators will benefit from a new coffee bar and spectacular views over the cricket and two artificial hockey pitches from inside and outside viewing areas. This will enhance the well-established range of tournaments and matches hosted at Framlingham College and provide children and parents at the College, its Prep School at Brandeston Hall and other visiting schools and community groups with a spectacular new facility. Funding for the project is largely due to a generous legacy from the estate of Yela Fowler, which she made through the Society of Old Framlinghamians, in memory of her late husband Derek Fowler DFM who attended the College from 1935 to 1940. The building is a designed by Sports Clubhouses based in Surrey and will be project managed by Synergy LLP. 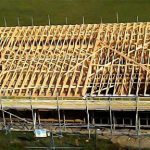 It is due to be completed in Summer 2017 and a significant element of the work will be undertaken by local contractor Hudsons Ltd based in Framlingham. Keep an eye on Facebook for regular updates! For more information on the project or Sports Clubhouses’ role then please contact Andy Macdonald (andy@sportsclubhouses.com). Error: Error validating access token: Session has expired on Thursday, 18-Apr-19 12:34:38 PDT. The current time is Sunday, 21-Apr-19 07:35:12 PDT.